To celebrate the release of Snow White and the Huntsman on Blu-ray and DVD on 1st October, we take a look at the films which Charlize Theron has used to redefine the notion of Hollywood beauty into something with more substance and heart. 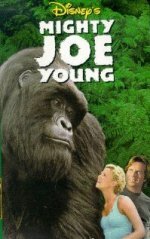 After taking on a number of critically-acclaimed edgy and dramatic characters, the family-friendly “Mighty Joe Young” brought Charlize into the mainstream. Her motherly persona in the Disney picture added another string to her already diverse bow and the warm performance she gives steals the show away from the 16 and a half foot ape she shares screen time with. 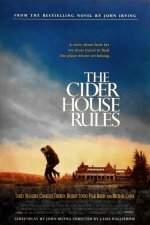 In the charming “The Cider House Rules,” Candy (Charlize Theron) teaches Homer (Tobey Maguire) about life outside of the sheltered orphanage he grew up in. Set during World War II, Charlize plays the lonely girlfriend of a soldier in battle with conviction perfectly suited for the period and her character’s reaction pre and post-abortion is fraught with realistic emotion and inner-turmoil. Charlize Theron’s spectacular turn as the prostitute-turned-serial killer, Aileen Wuornos, is considered one of the greatest movie performances of all time. 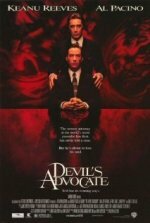 Catapulting her onto the A-list, “Monster” earned Charlize her first Oscar as audiences witnessed the naturally stunning actress disappear completely into the disturbing and unflattering role of a desperate woman on the edge of sanity. Hiding her natural beauty once again, although not as dramatically, Charlize cemented the idea that she has the innate ability to take on powerful roles about unglamorous women in a man’s world. In “North Country” she becomes the fearless mine-worker that won the first sexual harassment case in American history with such compelling human detail that critics failed to fault her in the often difficult follow up major role. Charlize uses her appearance to full effect in “Young Adult,” which tells the tale of a self-absorbed, destructive prom queen who has grown up, yet never let go of her high school glory years. In the gritty stand out role, her character is not particularly likeable, nor is she meant to be, but the Oscar-winner played the flawed part so realistically that critics commented on how unsettling the portrayal of a narcissistic, lonely woman was to experience. Snow White and the Huntsman is on Blu-ray and DVD from 1st October.